All necessary environmental and other permissions for the planned drilling programme at ECR’s El Abra gold prospect have been received from the government of La Rioja Province. A contract driller has been selected and is in the process of mobilising a diamond drill rig from Buenos Aires to La Rioja province in order to commence operations at El Abra in approximately the second week of January 2012. The ground based geophysical survey being carried out at El Abra is expected to be completed before the end of December, and the resulting data will be used for drill targeting. Samples from El Abra and other prospects within the Sierra de las Minas project area have arrived in Perth, Western Australia and will there undergo an initial programme of metallurgical testwork to be carried out by ALS Ammtec, an established metallurgical laboratory, on behalf of ECR. The results of this testwork are expected to allow ECR to commence discussions with potential toll treatment partners in Argentina regarding the processing of high grade material from Sierra de las Minas. The viability of such an operation will be dependent upon the findings of the testwork and on the results of the proposed drilling at El Abra. Further drilling may also be required in advance of any mining activities but could potentially take place shortly after the initial programme is completed. The results of the drilling and testwork may also indicate that establishment of a dedicated processing plant at Sierra de las Minas would be preferable to toll treatment. 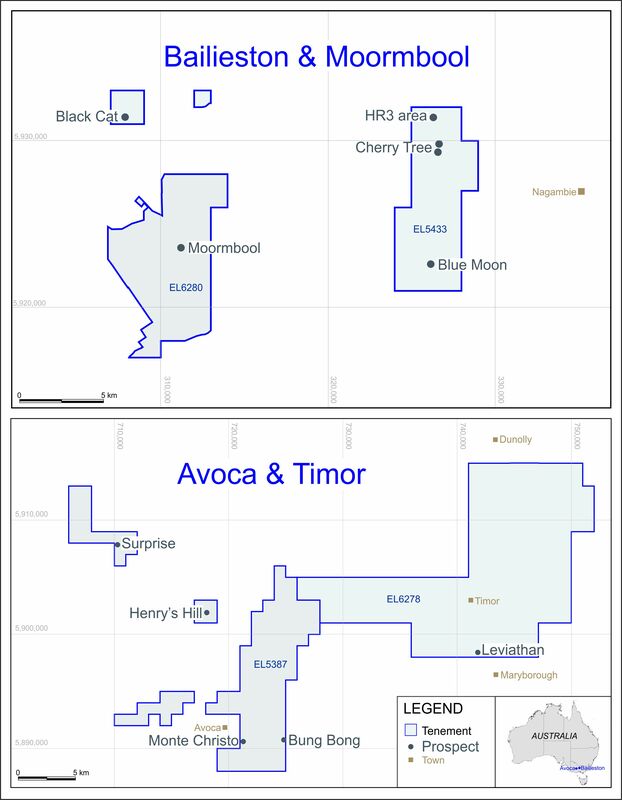 ECR holds 100% exploration rights to the Sierra de las Minas project area and 100% exploitation rights to a number of prospects within it, including the El Abra prospect. Exploration rights for other prospects may be converted to exploitation rights by application to the government of La Rioja Province. The El Abra and Jazmin prospects are subject to a 2% net smelter return royalty from production. Commencement of mining activities would be subject to receipt of the necessary environmental permissions from the provincial government. Patrick Harford, Managing Director of ECR, will be giving a presentation regarding the Company on the evening of 14 December 2011 at the Counting House, 50 Cornhill, London EC3V 3PD in association with MiningMaven. Persons wishing to attend should register at www.miningmaven.com/miningmaven-events and will be most welcome. Further to the Company’s announcements of 8 December and 21 November 2011 with regard to the results of drilling at the Copper Flat copper-molybdenum-gold-silver project in New Mexico, USA by THEMAC Resources Group Ltd (“THEMAC”), ECR wishes to advise that THEMAC’s Q4 2011 presentation is available for download at www.themacresourcesgroup.com and may be of interest in the context of those announcements. “We have now received all necessary permissions to commence drilling at El Abra and are taking every possible step to ensure that drilling commences promptly in the New Year. Surface geochemical sampling completed earlier this year has established the presence of high grade gold mineralisation at surface at El Abra and at a number of other prospects within the Sierra de las Minas project area. The task now is to further evaluate the extent of mineralisation at El Abra through drilling and to ascertain the metallurgical characteristics of the mineralisation at El Abra and at selected other prospects so that processing options can be considered in detail.